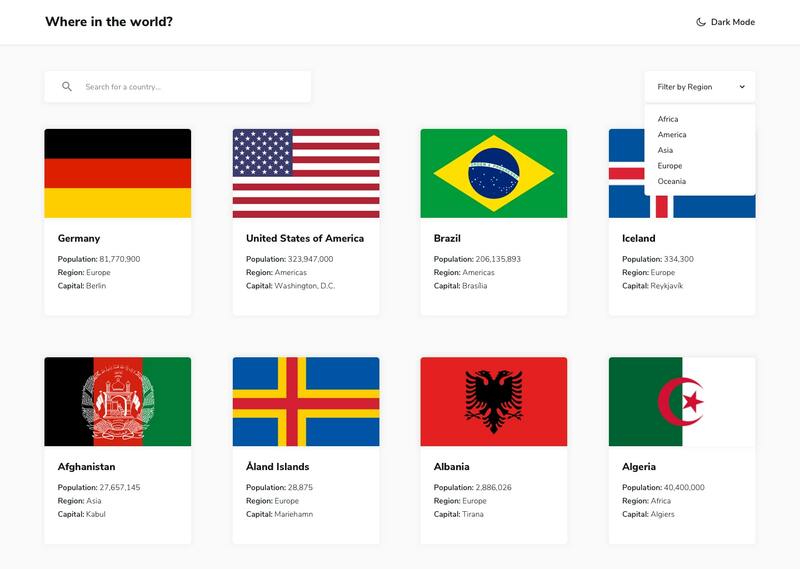 Your challenge is to integrate with the REST Countries API to pull country data and display it like in the designs. Download the starter code and go through the README.md file. This will provide further details about the project. The style-guide.md file is where you'll find colors, fonts, etc. Want some support on the challenge? Join our Slack community and ask questions in the help channel. Codecademy offers a number of free lessons for a variety of languages. To get the full courses, you typically need to sign up to the pro membership. But you can get a lot of learning done for free. Egghead offers a lot of free community resource courses for you to learn from. They also have some great paid courses that will help boost your knowledge. Clippy is a great tool that makes it simple to work with the new clip-path property.